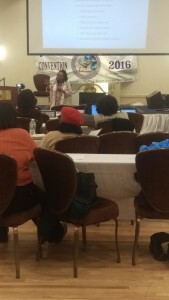 Dr. Pauline teaching about two-way communication with God while during intercession. Just like the Army has difference post, in regards to the status of each troop member, it is the same way intercessors have their different posts/ statuses. Nobody can know the true meaning of intercession, unless they know the meaning of the qualifications to enter heaven. You do not go into the enemy’s camp without tying them up or trapping them. When you are not under a covering, you are liable to be under attack. That is because you are a vagabond, who has no respect for authority. A vagabond is a freelance churchgoer. Which means that you are attracted to any church you come by and you have no protection against any evil spirits. Food covenant is the greatest war that we are involved in. Keep in mind prayer over food should be 1 to 2 minutes long. We should not take out the time to go into intercession over the food. The time of more than two-minute prayer, is when we are going to purchase the food. By praying before purchasing, you are aware of the food that you are eating is substance that you perceived to buy. Pray a prayer of dedication, by asking God to develop you in the word of truth. You are asking God to make you a better Christian. 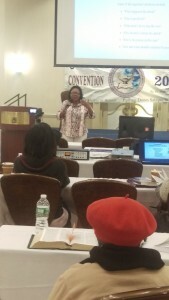 Dr. Pauline telling God’s people about the dangers of return to sender prayers. If we do not know the qualifications to enter into heaven, then we do not know how to handle ourselves in the presence of the Lord during intercession. The season of rest is when you come to a place where you can hear God. God has three divine mandates: (1) An official command or instruction to perform an assignment; (2) An order from a higher authority from above – Almighty God; (3) Divine Commission to administrate an assignment – involving other people or an organization. When our physical passion dies, we take up the spiritual passionate relationship. This is because we are not dwelling on what’s going on around you, and only focusing on your two-way connection between you and the father. “Food covenants are one of the greatest wars we’re involved in.